Greetings friends and fellow crafters. 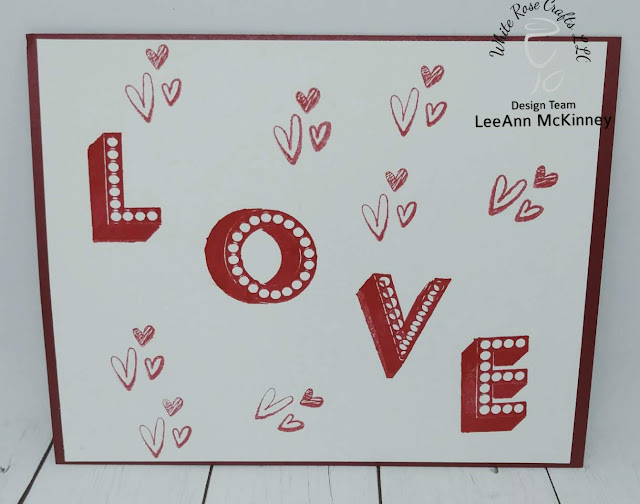 LeeAnn here with my first post promoting the WRC January 2019 Card Kit. This kit was a welcome after having made so many Christmas cards, I was really ready for a change up. I just wish I had not been sick so I could have made more than two cards for this post. My 2019 crafty goal is to redo my studio which will include a spot ONLY for making video's and taking photos. For my first card, I grabbed the stamp set and ink pad that came with the kit and started having fun. I used my stamp platform and figured out where to put the letters, then after stamping them out, I used an acrylic block to stamp the hearts around. Mounted this on a base using the Shimmer paper and done. For this card I used the Shimmer paper as my base, the opalescent paper as my under layer then added 2 border stickers from the included sticker kit. 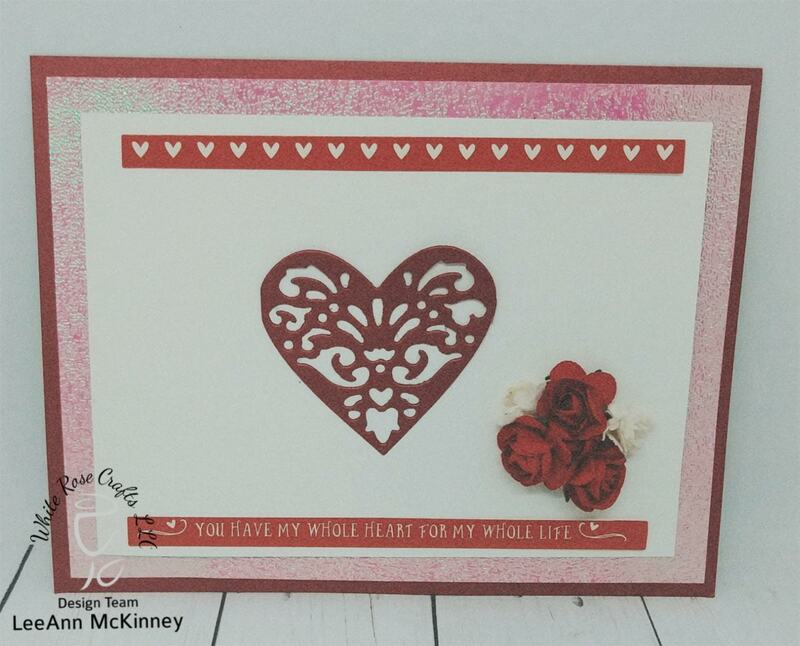 A few well placed roses and I had also used the shimmer paper to cut out a heart with the included die from this kit. I'm really happy that I was able to make 2 complete cards by only adding adhesive and 2 panels of white card stock. Everything else used for these cards came in this great kit. Coming up soon will be more cards using this kit as I have a lot more ideas, this bug is finally going away and I can sit and create. Have fun crafting and don't forget to like, subscribe and comment.